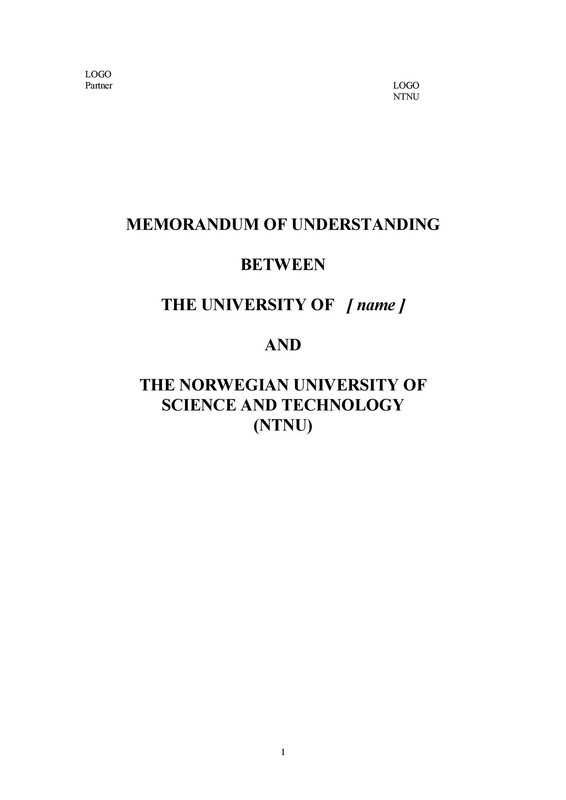 A memorandum of understanding or MOU is a type of agreement. It’s a nonbinding agreement between 2 parties or more. 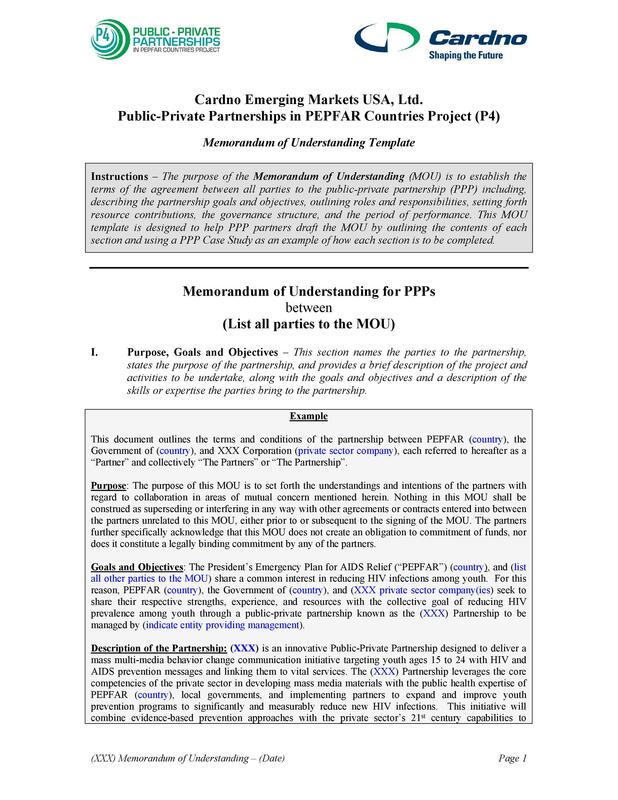 An MOU template contains an outline of the details and terms of the agreement. 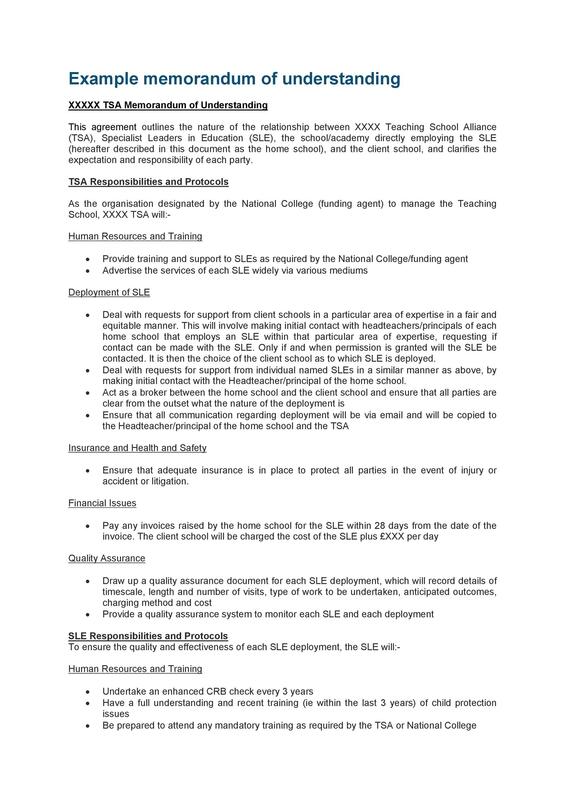 It would also include the requirements and responsibilities of each party. 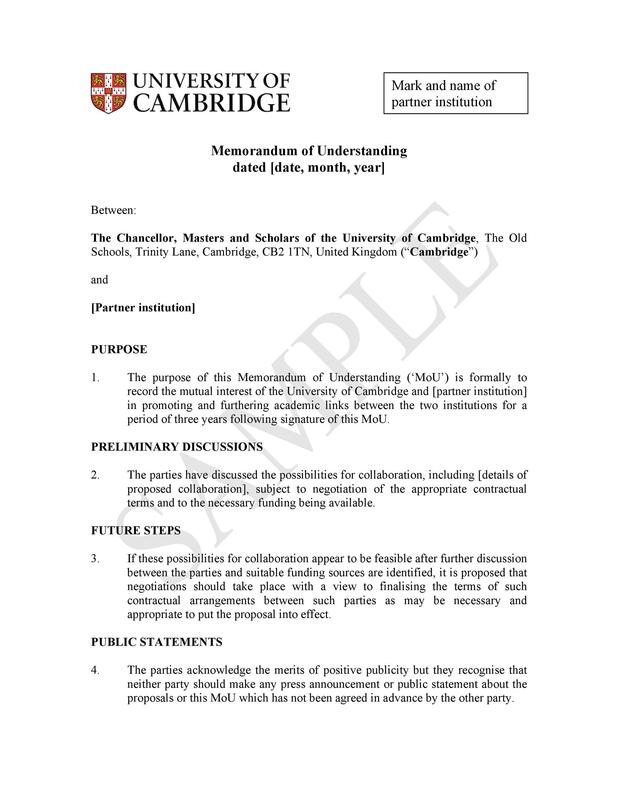 Making a memorandum of understanding template is usually the first step. Do this first before forming a formal contract. MOUs aren’t legally binding. But a lot of people consider them as official documents. 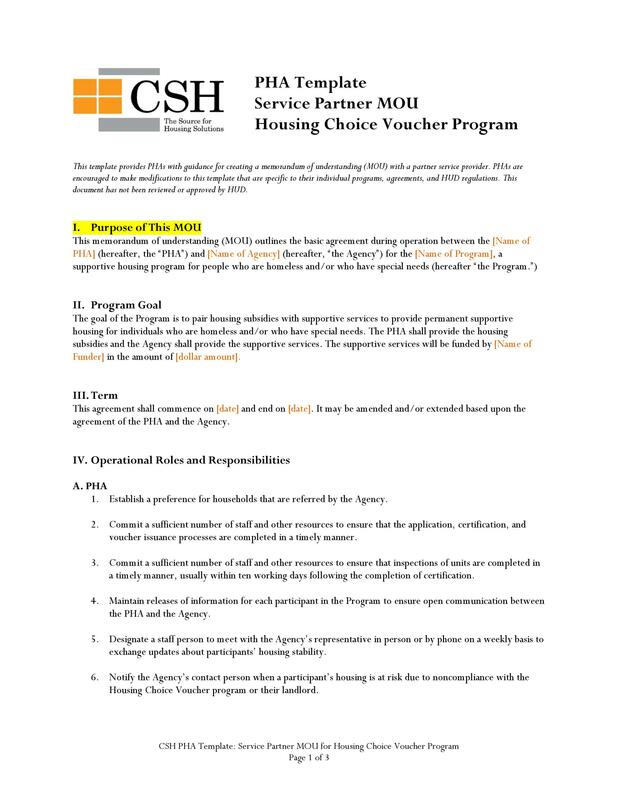 In the US, an MOU is the same as a letter of intent. They’re nonbinding agreements which precede a legal and binding one. People often use MOUs in international or multinational relations. This is because it’s easy to make them and it’s easy to keep them secret, unlike treaties. 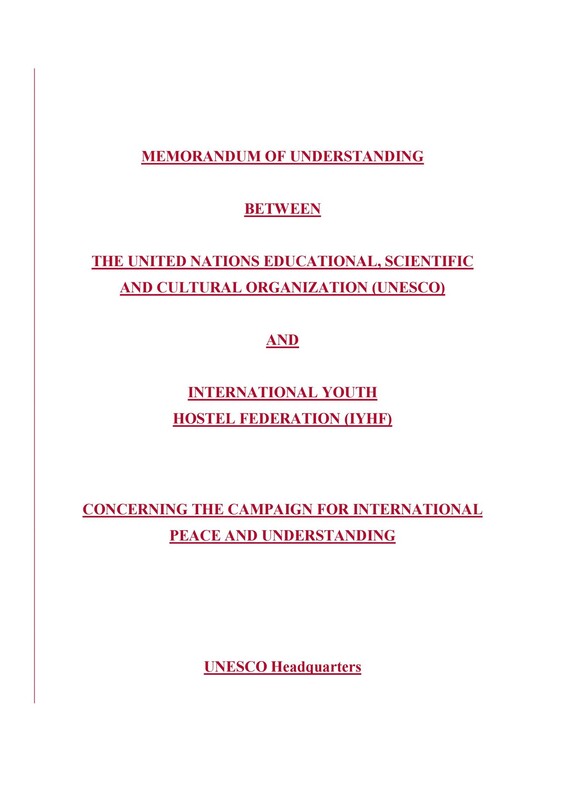 You can also such a document as a tool to make modifications in treaties which already exist. You can find MOUs in domestic and international environments. They have different lengths and complexities. But they do have something in common. They represent expectations which the parties involved have mutually accepted. 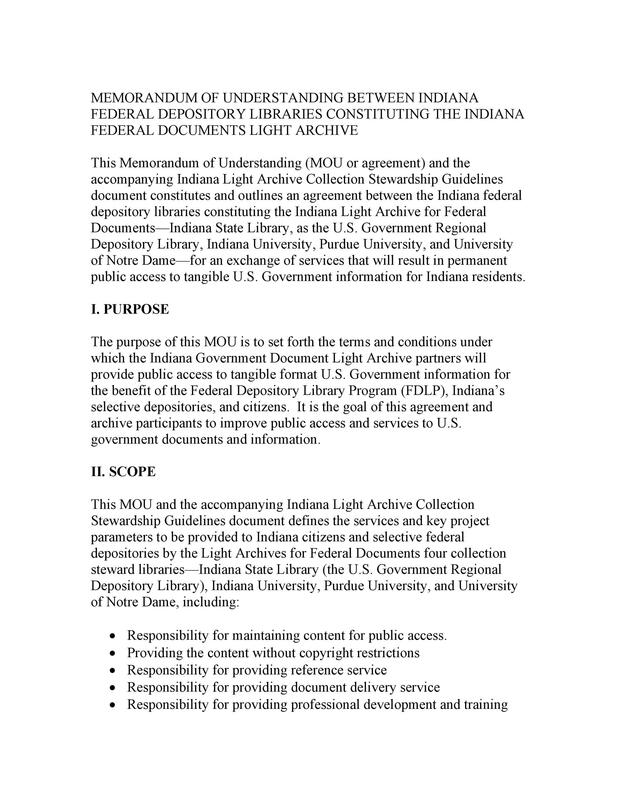 Also, they aren’t legally binding, and they don’t require an exchange of funding. 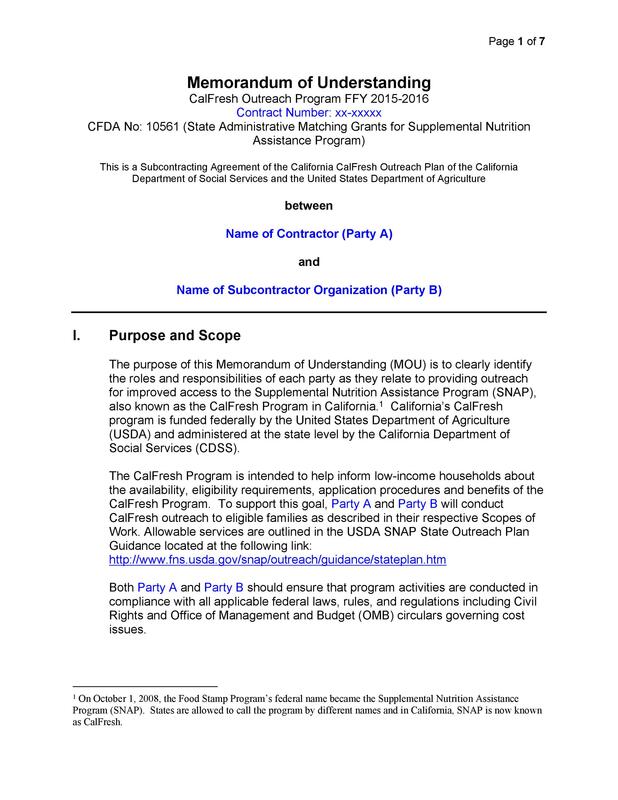 Remember that this document is nonbinding and may involve two parties or more. 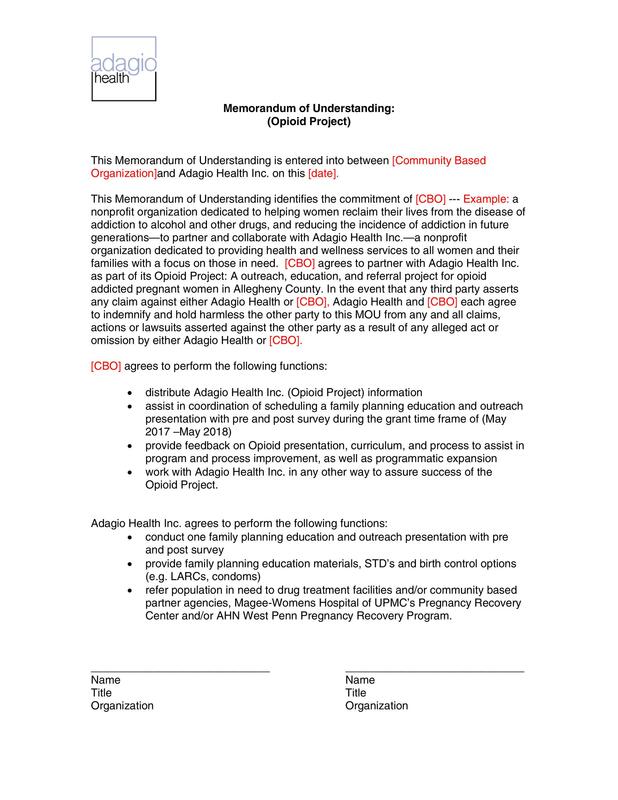 After inputting all the information, ask all the parties involved to sign. Just the agreement, the template would have a formal layout. 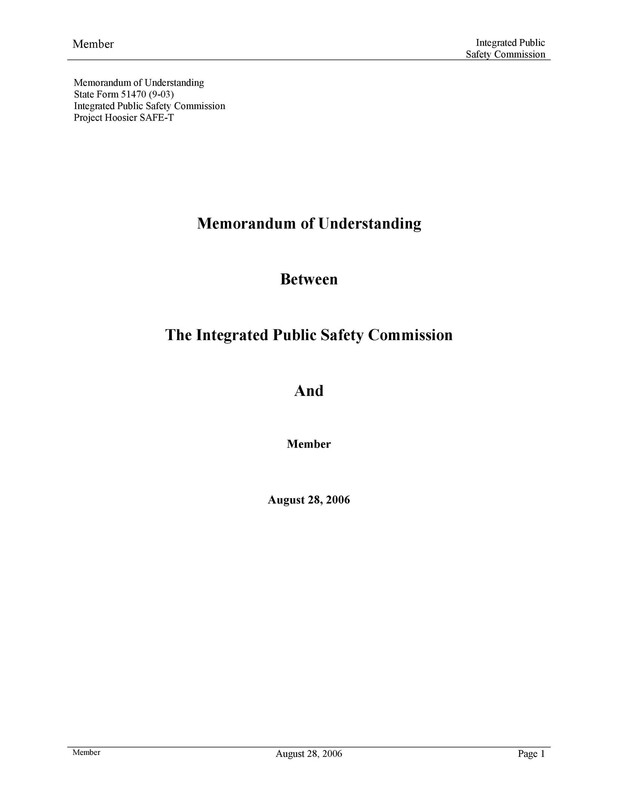 It would contain all the relevant conditions or terms as agreed upon by the parties. 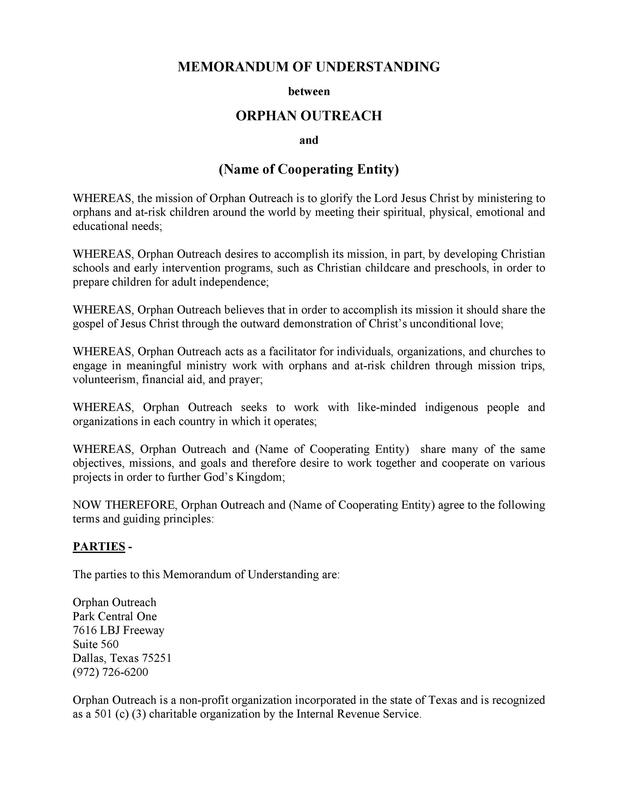 Although nonbinding, it’s still an official document which you should approach with seriousness. 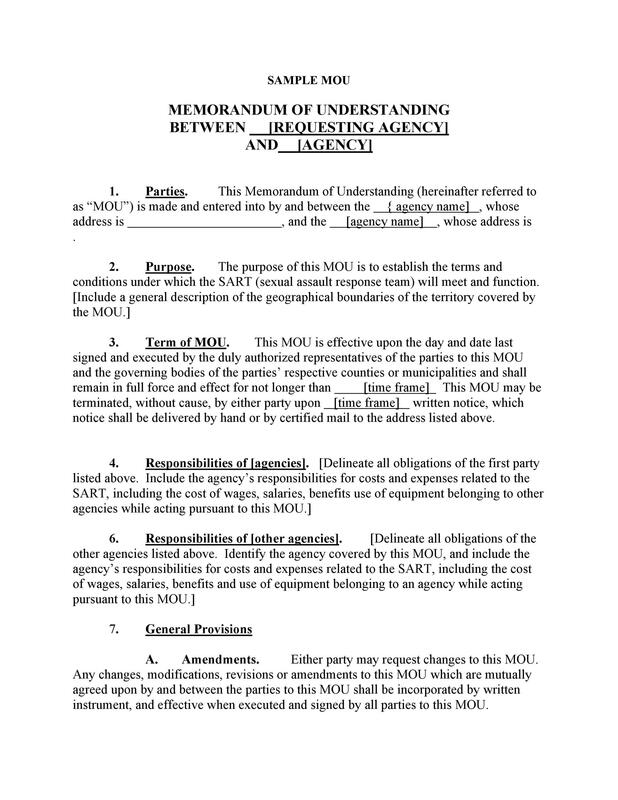 Creating an MOU can be very complicated. This is especially true if you aren’t aware of what you should include. So if you’re planning to create one, you need to learn more about them. 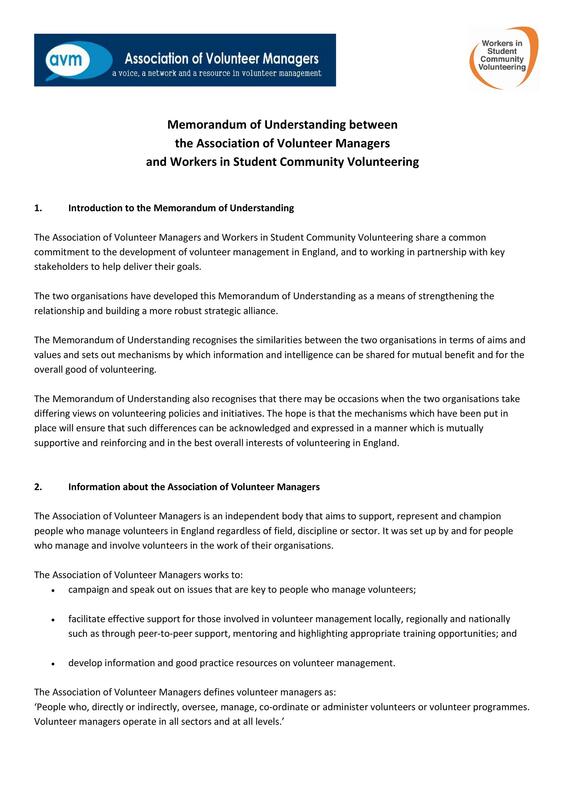 Or you can take the easy route and download a memorandum of understanding template here. Then all you have to do is add your own terms and conditions in the document. 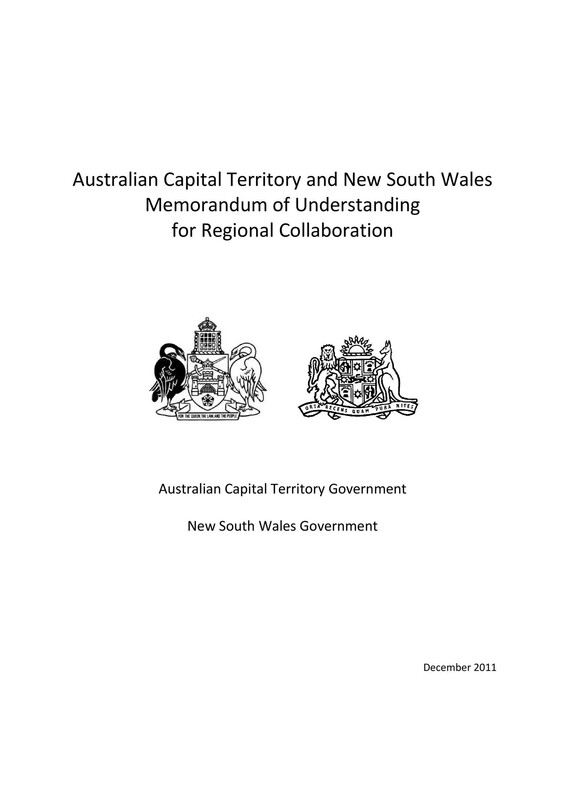 Creating an effective memorandum of understanding is essential. It can help prevent any confusion, misunderstanding, and potential disputes. 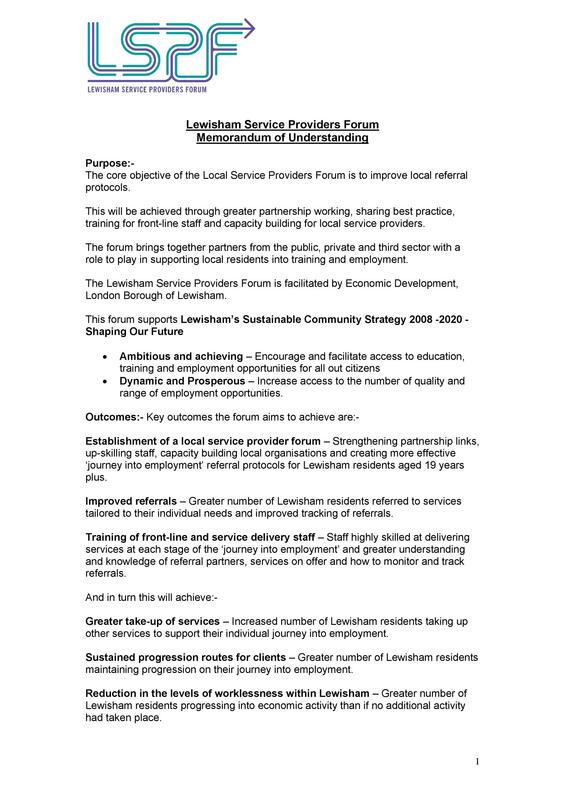 The document would clearly lay out the responsibilities and expectations of the parties. 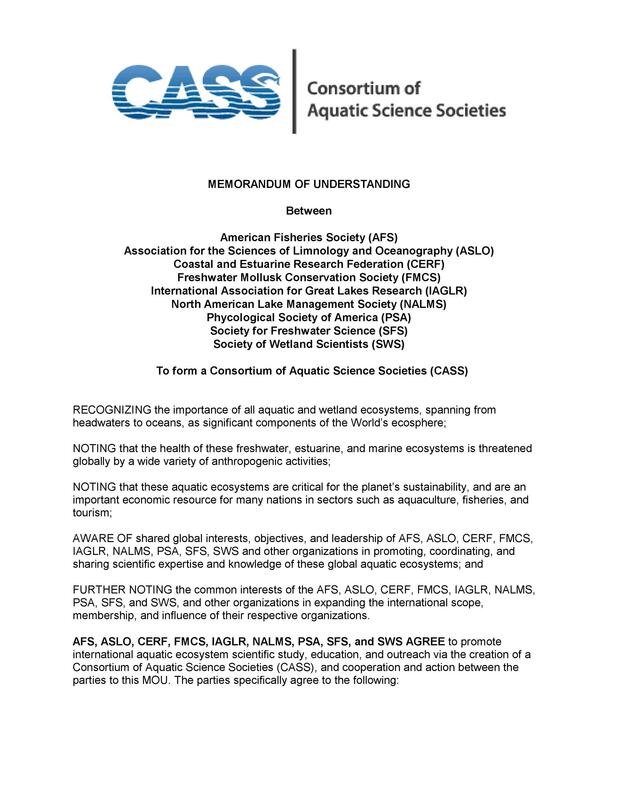 It’s important to include this information about those involved in the agreement. 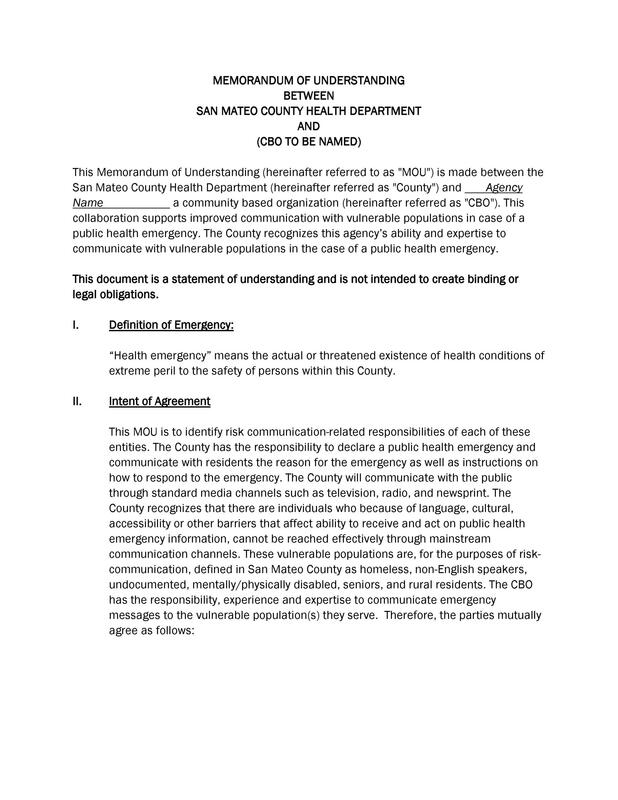 For instance, an MOU would cover all the types of insurance each of the parties has. This may include liability insurance. It may also include the promises the parties make. Also, you can include their commitment levels to the agreement. If you’re planning to create a contract with someone, consider making an MOU first. If the other party doesn’t want to put anything in writing, that’s a big red flag. Then maybe you should think about whether or not to go through with the contract. 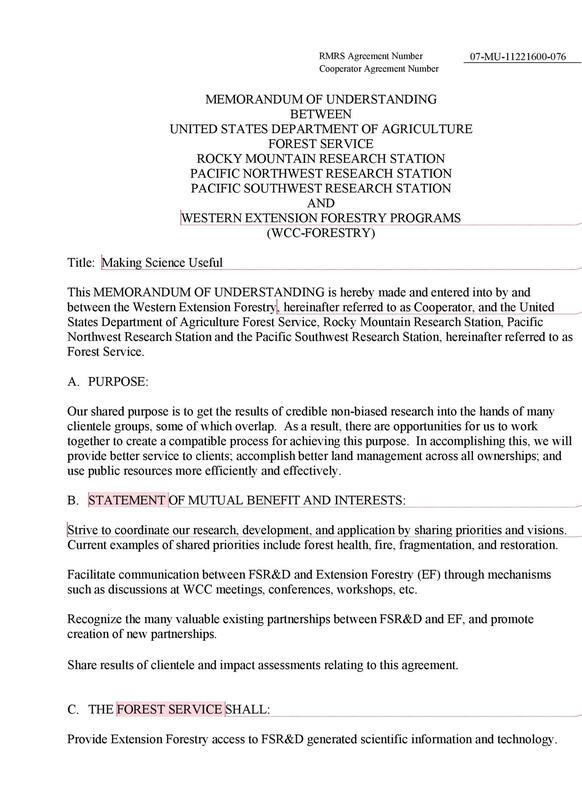 This is a very important part of an MOU. A well-written template would start by giving an outline of the overall intent. It must be a clear reflection of the goals of all the parties involved in the agreement. When it comes to MOUs, there shouldn’t be any gray areas. Otherwise, it won’t be very effective. The template should include the names of all the parties involved. This may be individuals, groups, companies, organizations, and others. You should also specify the exact time period of the agreement. 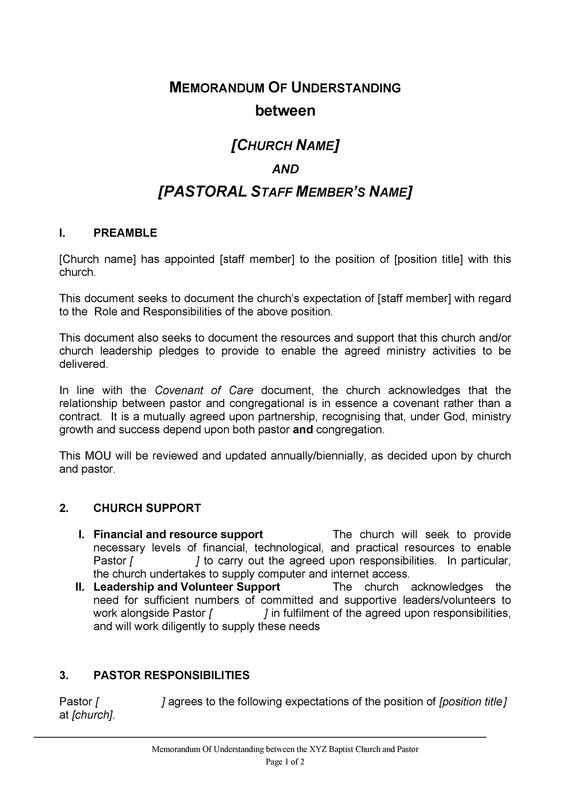 Your MOU should contain the start date and end date to make it official. 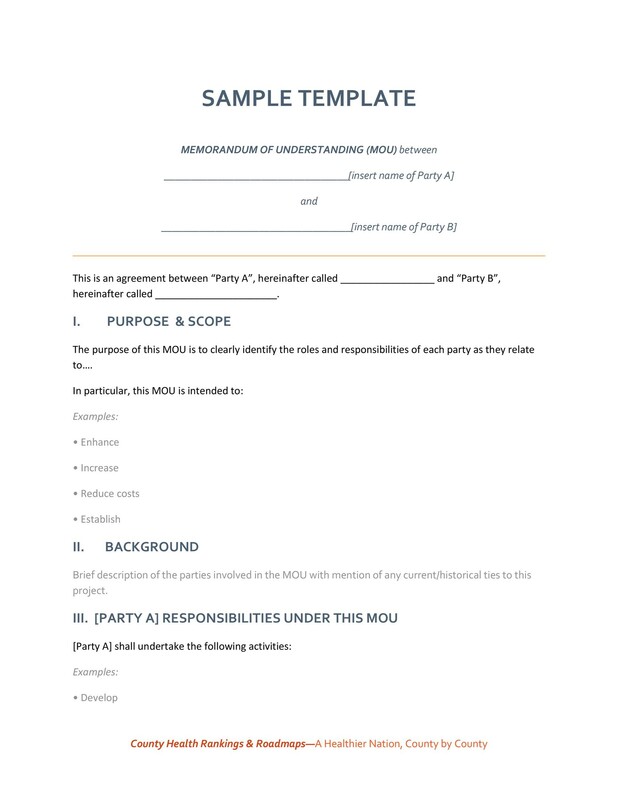 The responsibilities and duties of the parties involved should also be in your MOU. Make sure this information is highly-detailed to avoid any confusion. This will also help reduce the risk of miscommunication and misunderstandings. This is important if the responsibilities play a huge role in the agreement. 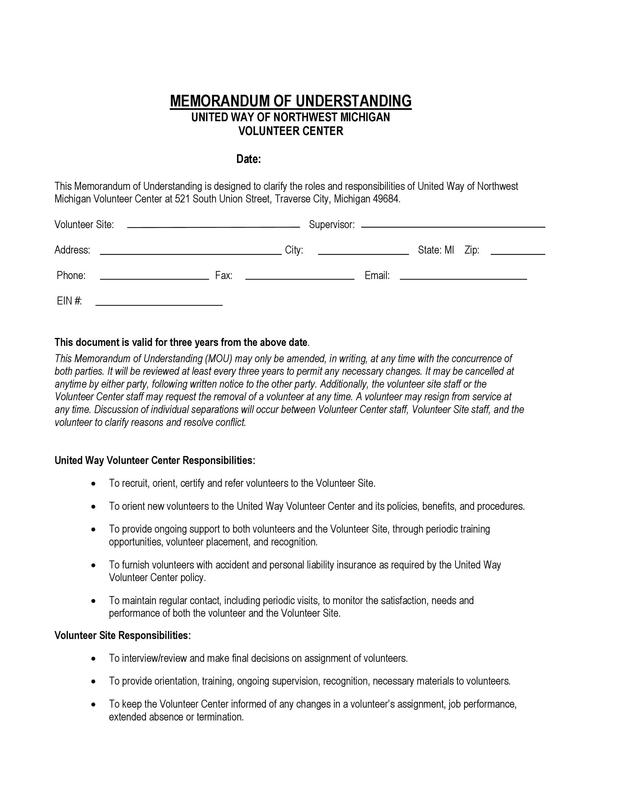 In the template, you can also include shared responsibilities. This information is part of the main reason why you draft the MOU in the first place. So usually, this would be the longest part of the template. 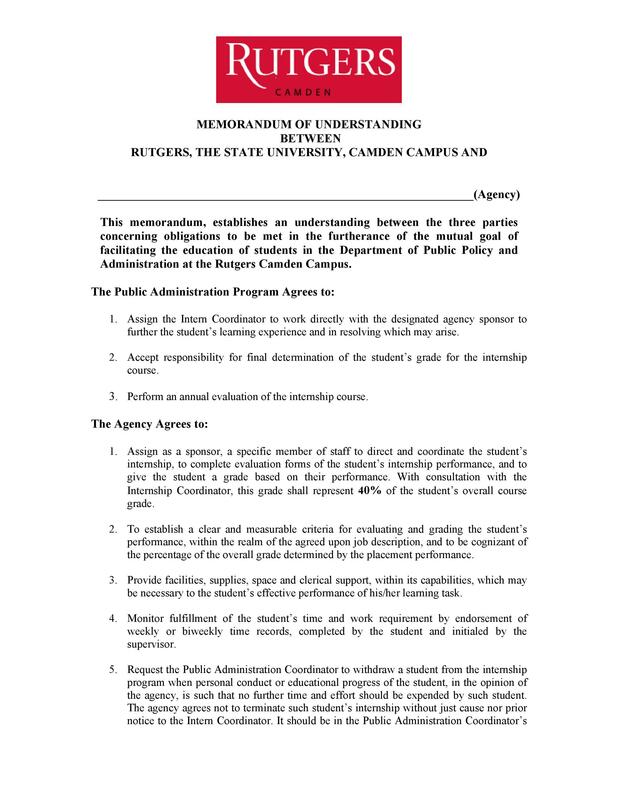 If you have any disclaimers in your agreement, then you should also include them in your MOU. Create a separate section for the disclaimers and list them all. Here, you should state whatever the project isn’t meant to accomplish. You should also include what isn’t guaranteed by the completion of the agreement. If you have any financial arrangements, you should also include them. You need to specify which party will pay for what part of the agreement. Also, specify due dates and the person who will receive the said payments. 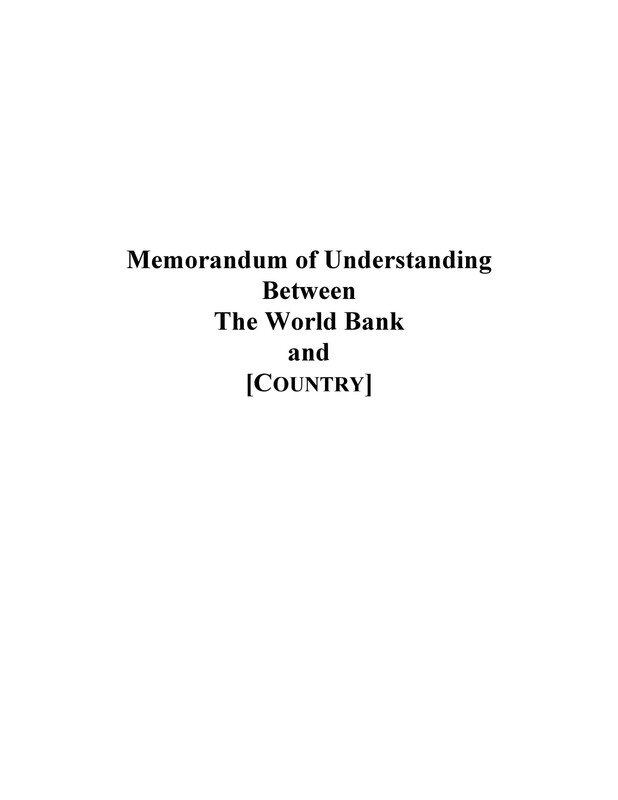 This is another important part of a memorandum of understanding template. It would contain information about who will take responsibility if anything goes wrong. You need to include this part. Do this in case the agreement results in loss of profit, damages, injuries or even death. You need to name the responsible parties but only if they accept the responsibility. Otherwise, you need to think of a compromise with regards to risk sharing. 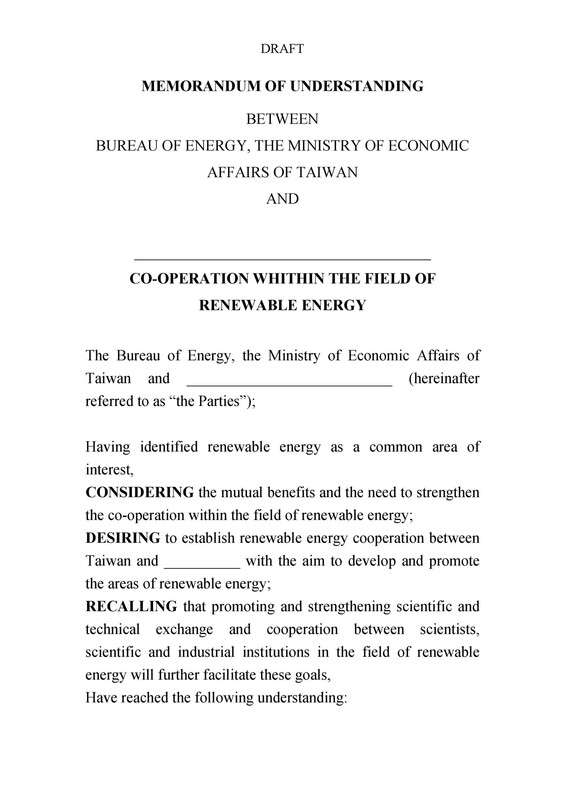 MOUs aren’t legally binding, but it’s still important for the parties to sign the document. So if you’re making a template, include a space for them to affix their signatures. After signing, each party should have a copy of the document to keep in their records. You may think that you’ve created an iron-clad template. But before you make it official, you should consult with a lawyer first. Let the lawyer go through your document before you proceed with the terms stated in it. There are some courts which uphold an MOU as if it were a legal contract. That’s why it’s crucial to make sure that you’ve written the document well. Also, you need to make sure that the involved parties aren’t sacrificing more than they have to or want to. The first thing you need to do is find the right party to share an agreement with. 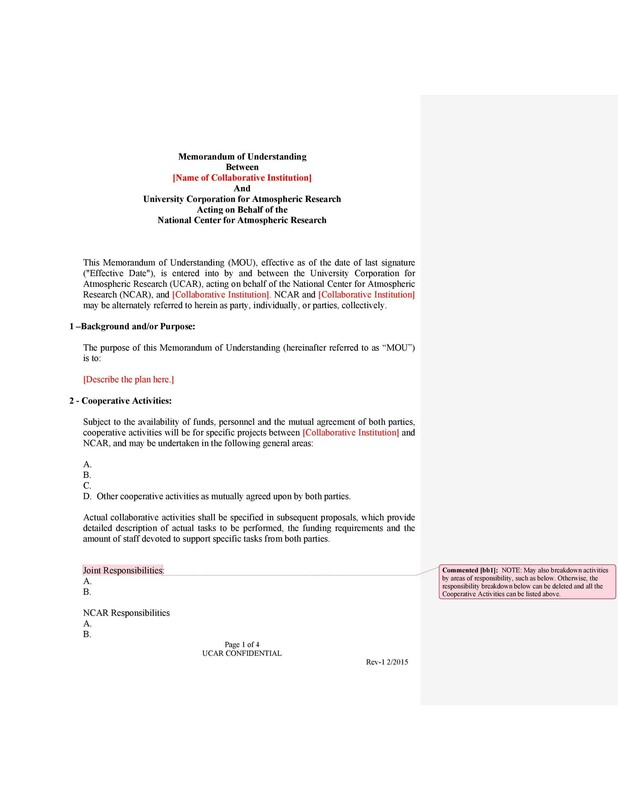 After that, it’s time to compose your memorandum of understanding sample. 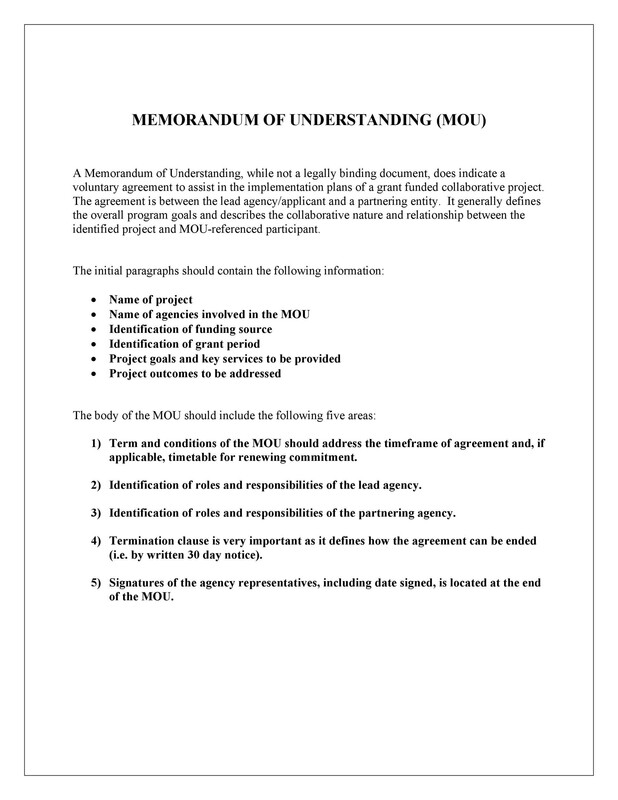 Before creating a formal contract, the MOU will help you get your agreement off the ground. You own a business, and you’re planning to partner with another business. You own a business, and you often partner with different businesses. You own a business, and another business has asked to partner with you. 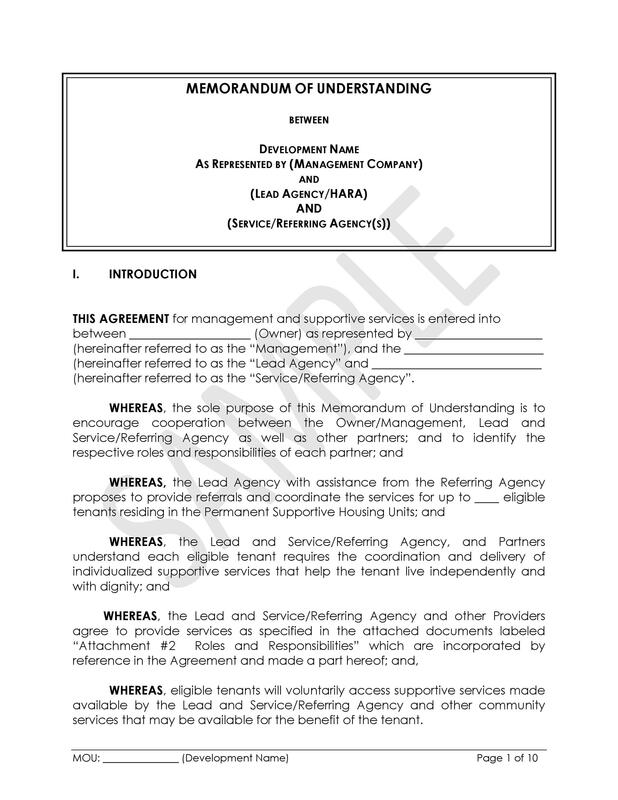 You want to enter a legal contract or agreement with another person. These are some of the most common reasons for using such a document. 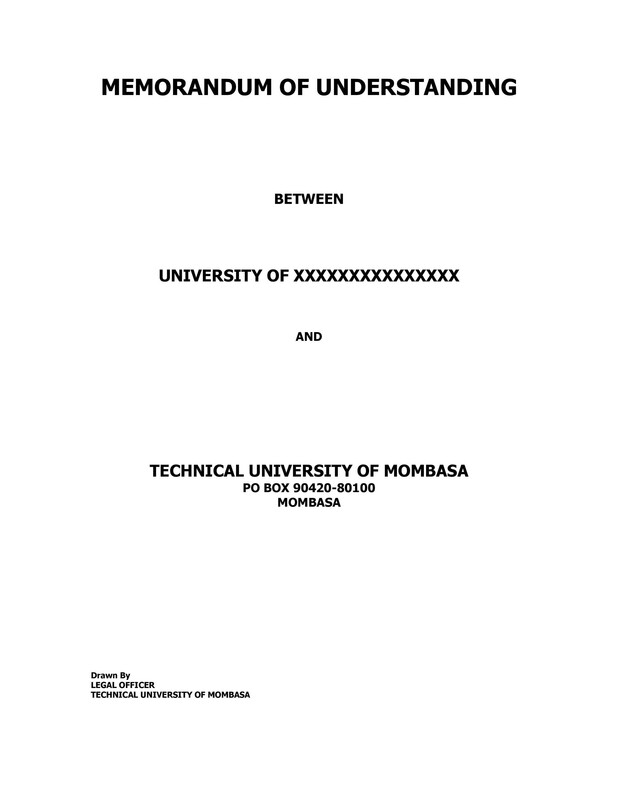 This document is also referred to in different names. 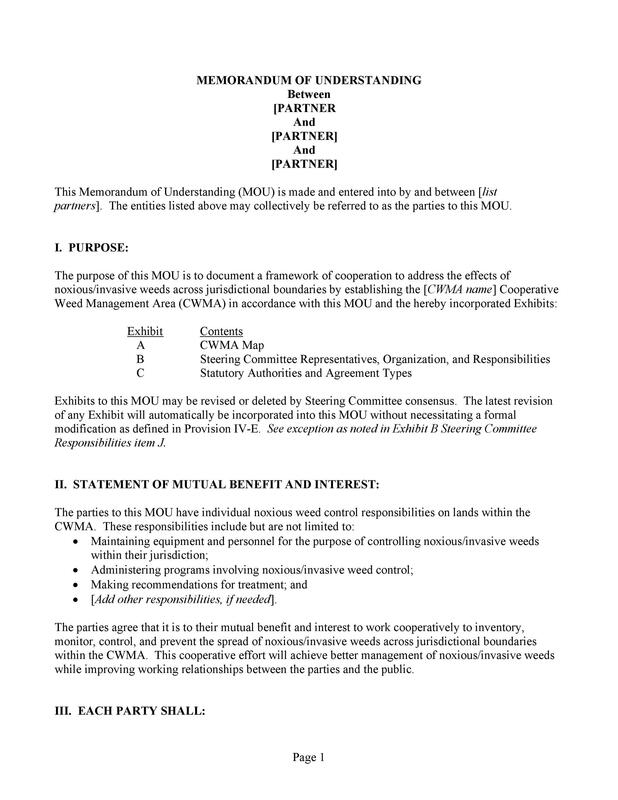 You can call it an MOU agreement or an MOU form. When making the document, you need to put a lot of time and effort into it. You also need the same components when creating an agreement with another party. 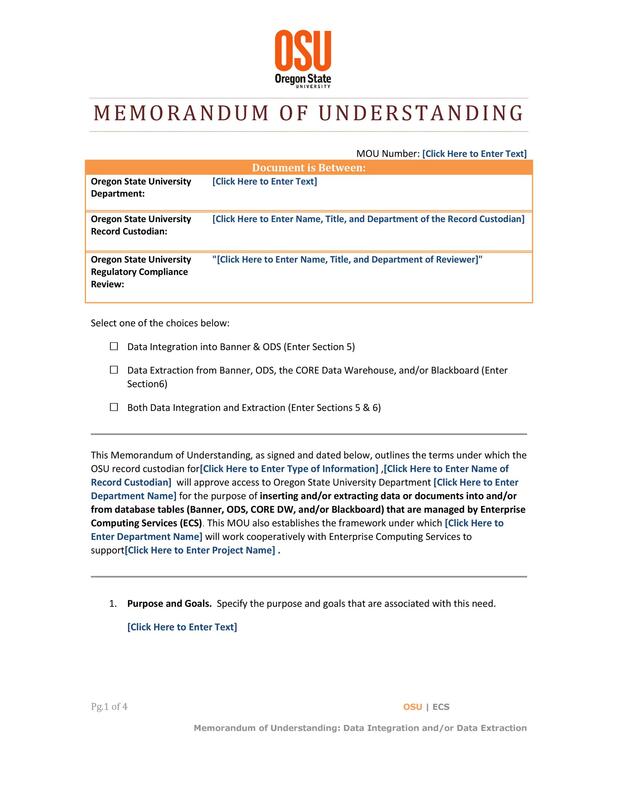 The MOU will help you go from agreeing to the terms to signing a written record. 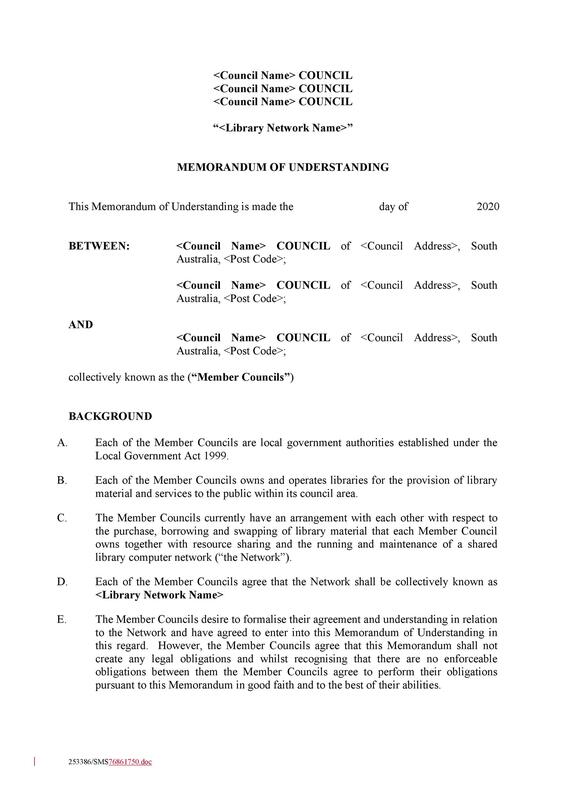 Even without a legal contract, the MOU can represent your agreement. Then you can start finalizing the terms of the contract before making it official. 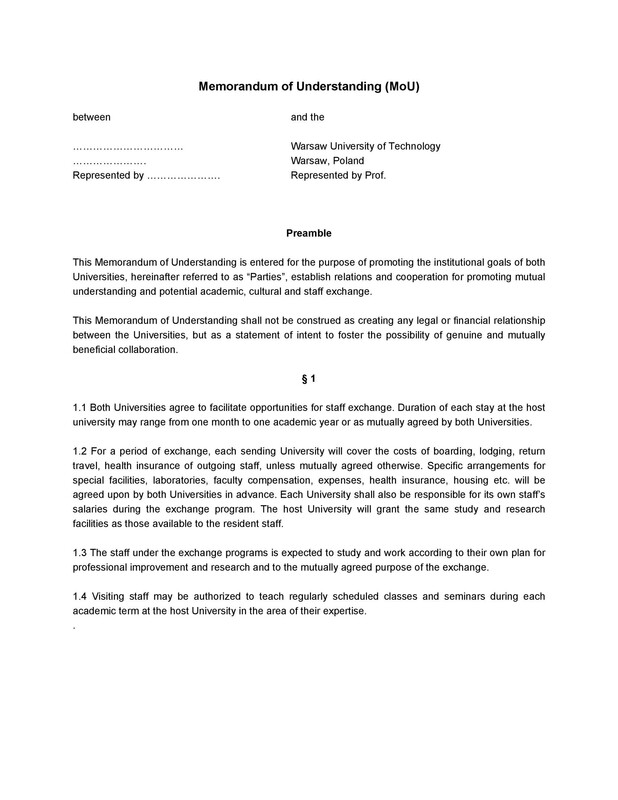 If this is your first time to enter into a contract or agreement, the MOU template will be very helpful. You can use it to make the basic framework of your agreement or project. With it, you can specify the parties involved and all their responsibilities. You can explain what the agreement is all about. You can even set the initial deadlines if you’re working on a project. Remember though, that the MOU isn’t a replacement for a legal contract. Although formal, it’s not legally binding. If you have any questions about contracts and such, speak to a lawyer about them. The MOU isn’t really a contract, per se. It’s more like an outline or framework of the agreement you’ll make later on. 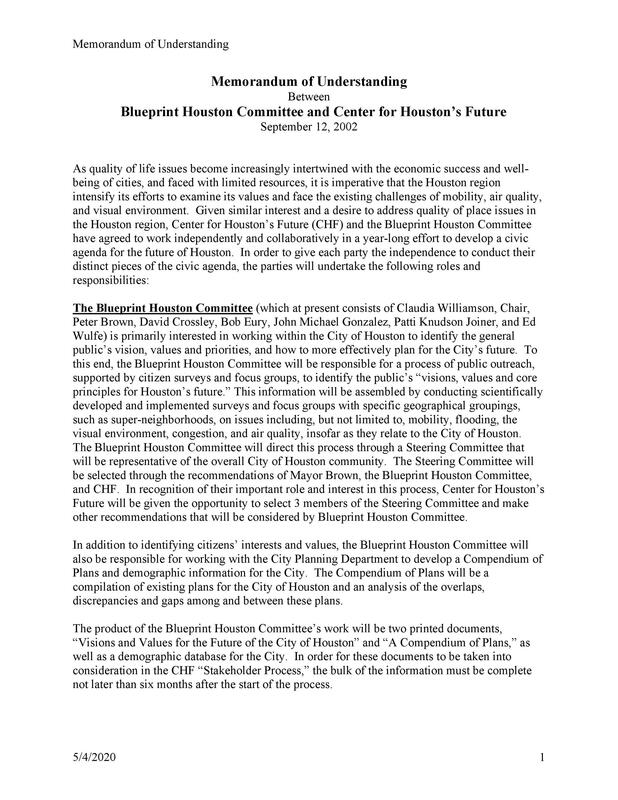 However, it’s still a significant document to make. It shows the intentions of both parties. 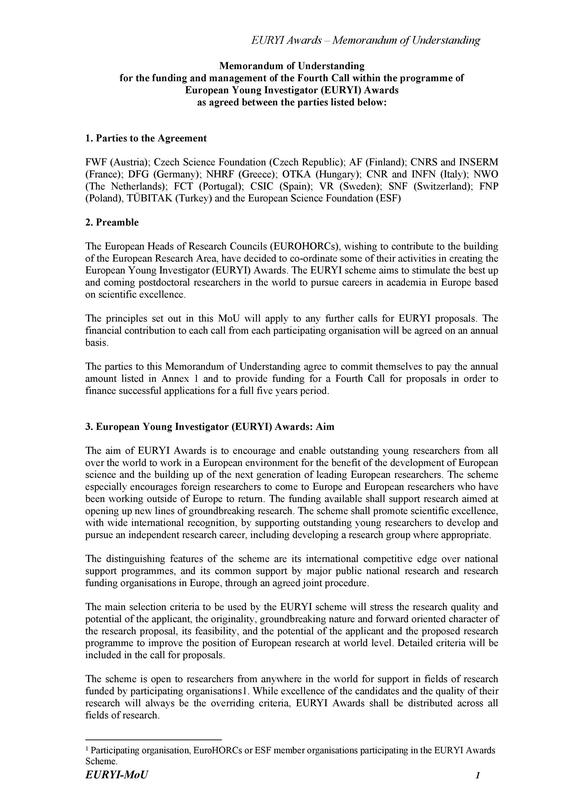 It also shows their interest to go into a formal agreement in the future. It’s just that they’re still waiting for something before making their agreement official. So the template serves as a way for you to fill the gaps between your initial talks and your final contract. 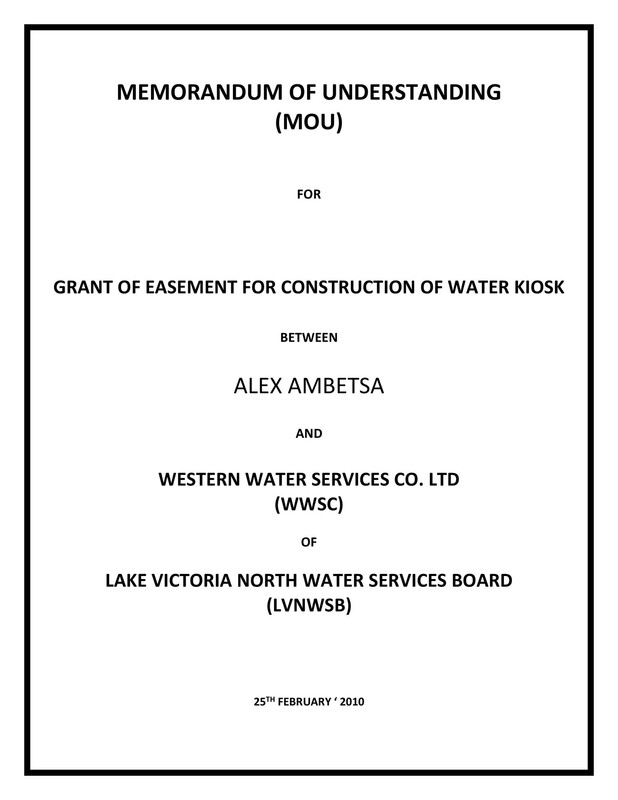 The more information you include in your MOU, the better it will turn out to be. If you can, include relevant issues. 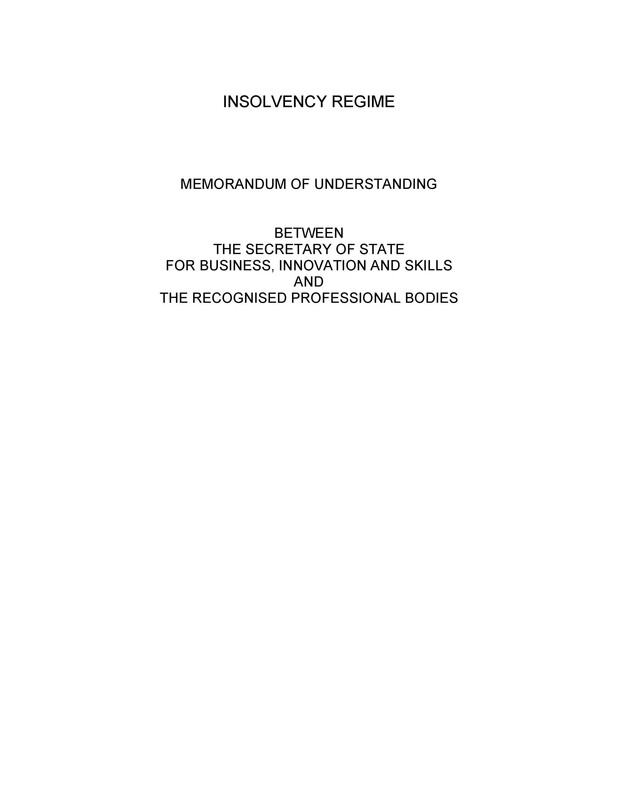 These include the general scope of the agreement, time frame, liabilities, and more. In doing this, your template will have genuine and solid value. Keep in mind that the more ambiguous the document is, the less valuable it will be. 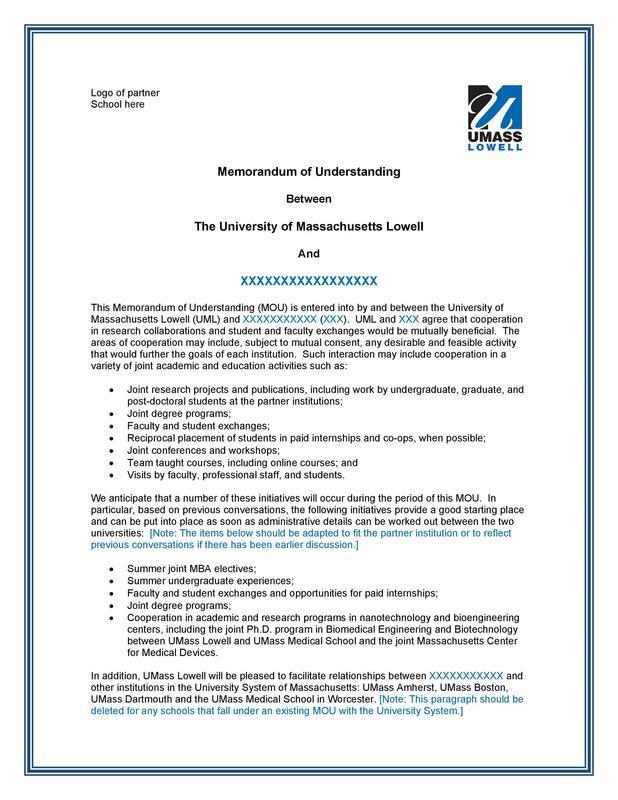 As we’ve stated, the memorandum of understanding isn’t really a legal document. It’s not as official as a contract, but it’s a lot better than a verbal agreement. It isn’t binding because it doesn’t contain all the elements required for a legal contract. 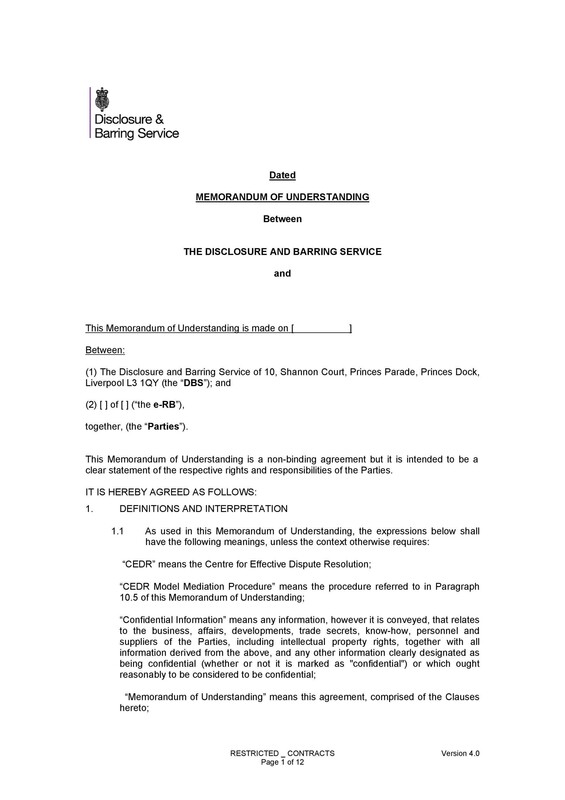 When the courts try to determine whether the MOU is enforceable, they will examine it. Is there an offer included in the document? Did both parties accept the offer written in the template? Did the parties have a consideration exchange? Did both of the parties intend to enter into an agreement which had legal consequences? 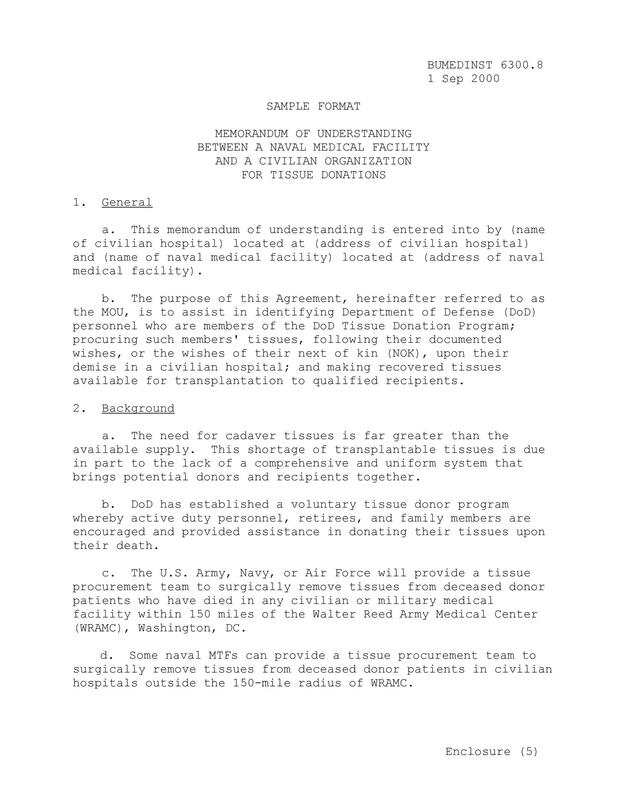 Usually, an MOU doesn’t include money exchange. This is why they aren’t usually enforceable in courts. This is why it’s important to consult with a lawyer first. Do this before creating or signing any documents. 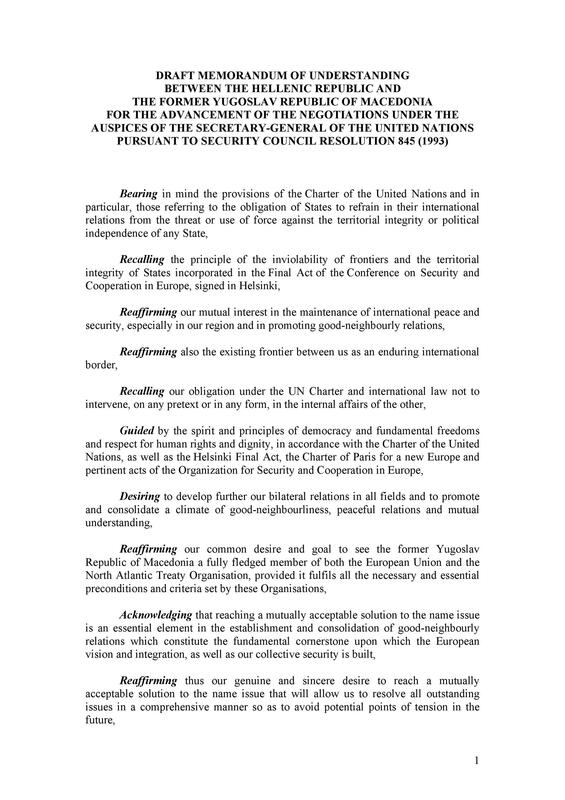 The names of the parties involved in the agreement. The general subject matter and objectives. The relevant terms and conditions. The signatures of all the parties involved. 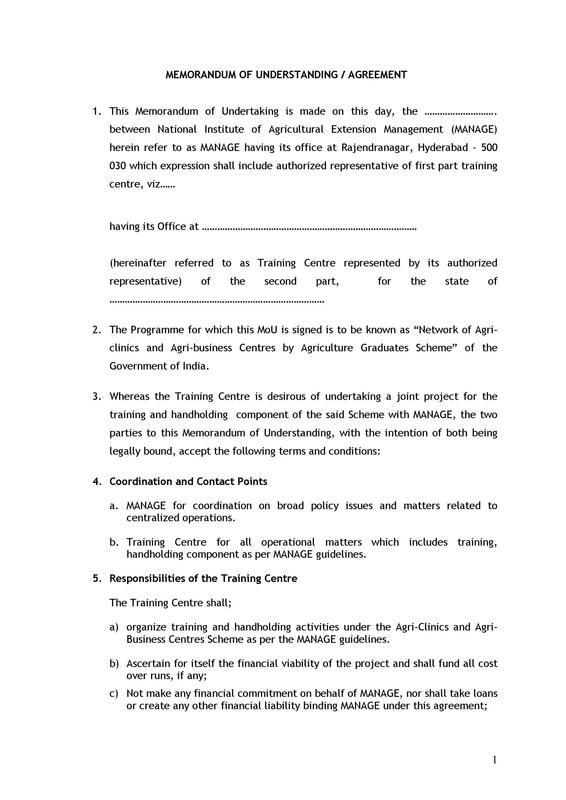 The MOU indicates that a legal contract will follow soon. But the MOU itself isn’t legally defensible. 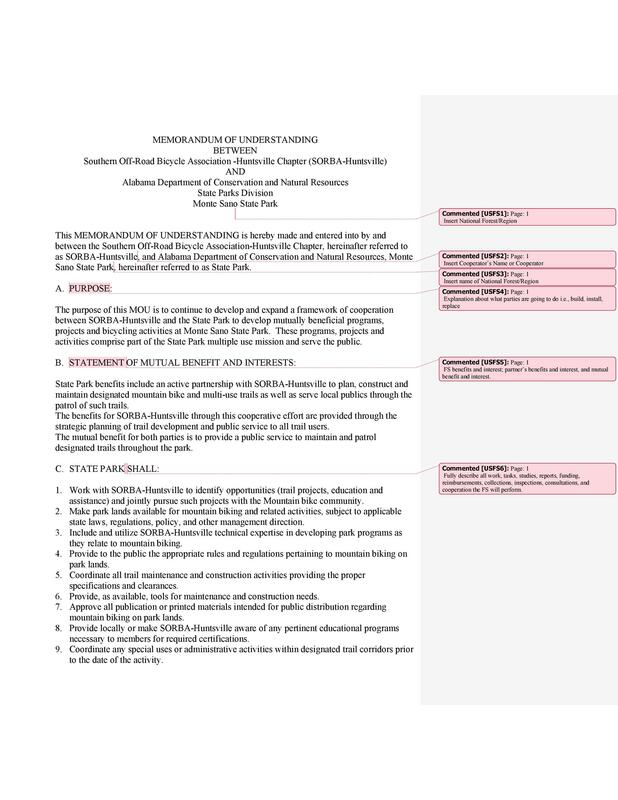 Even so, you should still outline all the important points to make it an effective document. The template should give a description of the parties involved. It should have a clear explanation of what the agreement is as well as its scope. It should also contain the duties and responsibilities of the parties. All these are relevant information needed in the document. Even though it isn’t legally binding, it will help the parties start their agreement. Although it’s not an enforceable document, it’s still very powerful. You need effort, time, and resources to draft the document effectively and fairly. 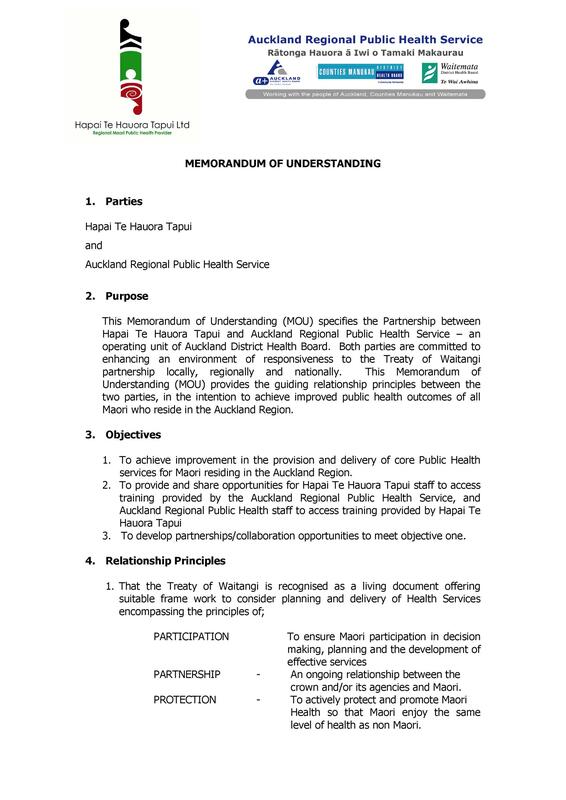 The MOU would help the parties involved come to a mutual understanding. 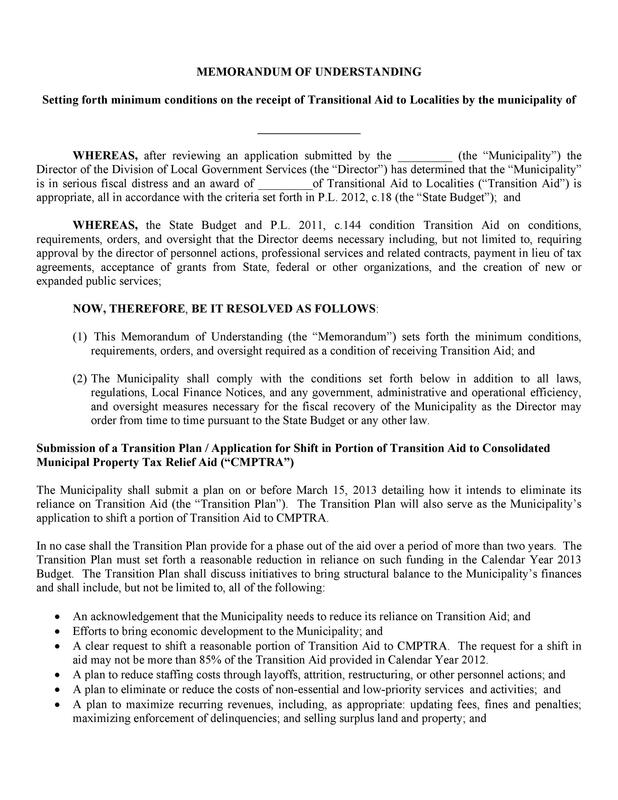 While drafting it, both sides can determine the important aspects of their agreement. 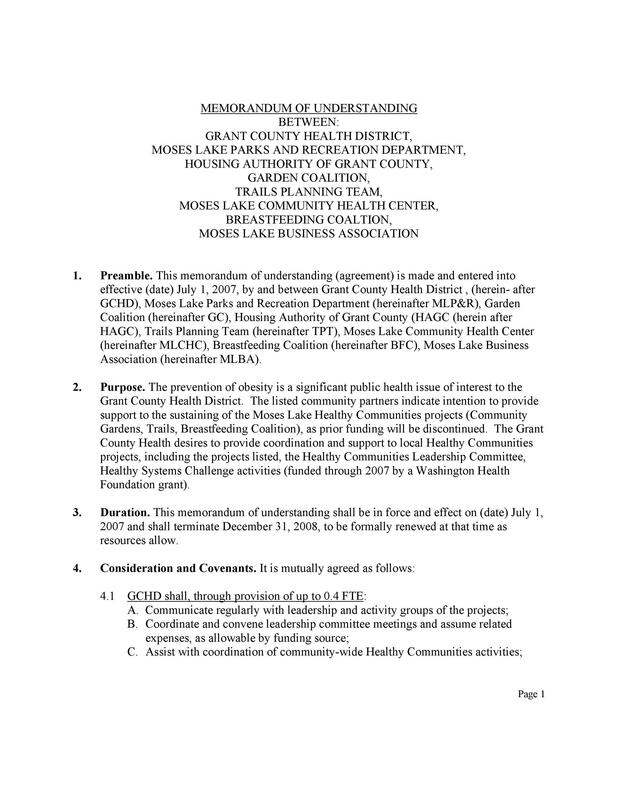 Before creating an MOU template, each party would start with a planning phase. In this phase, they decide what they want to get out of the agreement. They can also decide what they can offer and which aspects they can negotiate. Then they can create an initial draft before meeting the other party. When the representatives of both parties meet, they can discuss the details of the MOU.